We want your room to look sharp, without having to deal with the sharp edges of mirror and glass yourself. 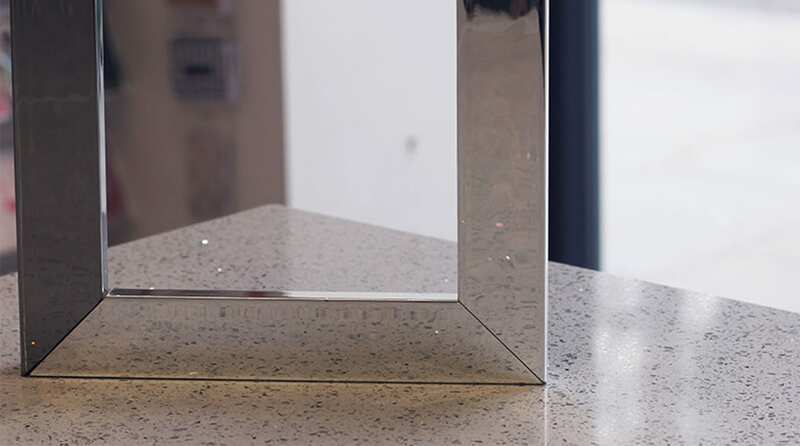 With an astonishing range of materials at our disposal, we have a glazing for every kind of job, and a mirror to give your unique style that polished finish. Mirror comes in a variety of guises. It can be safety-backed, which holds it in place if broken, antiqued to fit in with a vintage setting, and beveled for that classy flourish. If your frame needs to be shipped, hang over the bed, or your family just likes indoor sports you may want to think of an alternative to glass. Light and shatter proof, acrylic has all the benefits of glass and more.